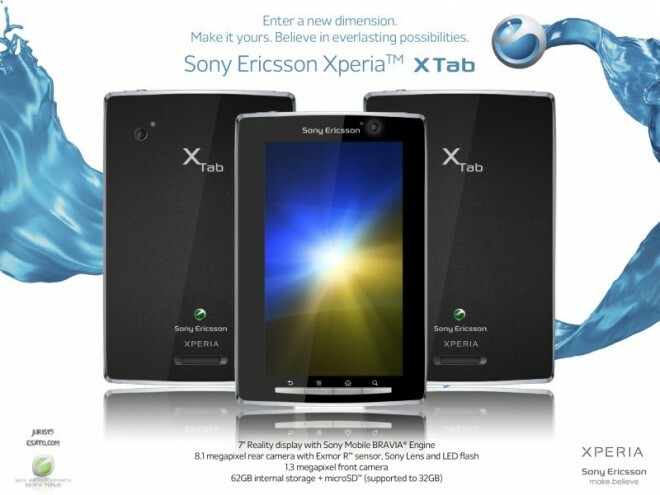 We know that Sony Ericsson Xperia is a smartphone line but I think its time for them to make their own version of tablet. This concept is made by Esato board user juris15 and he called this tablet Xperia XTab. The device has a 7-inch Reality Display with Sony Mobile Bravia Engine, an 8.1 megapixel rear camera with Exmor R sensor while the secondary front camera has a 1.3 megapixel. It also come with 62 GB internal storage and expandable with microSD slot for photos, music, videos and applications. I hope that Sony Ericsson think of a better design that will make their tablet unique like the Sony tablet S.